From energy drinks to flavoured waters and Lattes, beverages now make up nearly 25 percent of the average person's daily caloric intake, a number that has doubled over the past 30 years. The once-simple decision of how to quench our collective thirst has taken on a newfound complexity in the 21st century. That's why the authors behind the best-selling "Eat This, Not That!" series have decided to investigate the ever-growing drinking problem, so that they can provide consumers with simple, no-nonsense advice on the healthiest beverages to drink in any given situation. The features in "Drink This, Not That!" 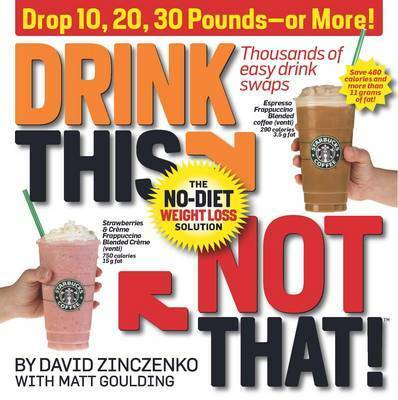 include: 13 Secrets the Beverage Industry Doesn't Want You to Know; Drink Your Way Thin Without Ever Dieting; The 20 Unhealthiest Drinks; The Truth About Diet Soda; Drink Right Every Time: The Best and Worst Beverages at Starbucks and dozens of other popular chains; and, the Ultimate Guide to Coffee, Tea, Beer, Wine, Cocktails, and more! "Drink This, Not That!" teaches consumers how to pick the right juices and bottled drinks at the supermarket, identify high-quality wines, whip up first-class smoothies and healthy cocktails at home, and navigate any beverage menu. 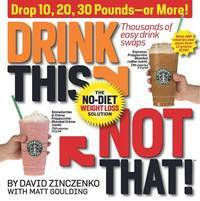 Comprehensive, compelling, and authoritative, "Drink This, Not That!" is the only beverage book you will ever need to own. DAVID ZINCZENKO is editor-in-chief of Men's Health magazine.MATT GOULDING is a food and nutrition editor of Men's Health. He lives in PA.